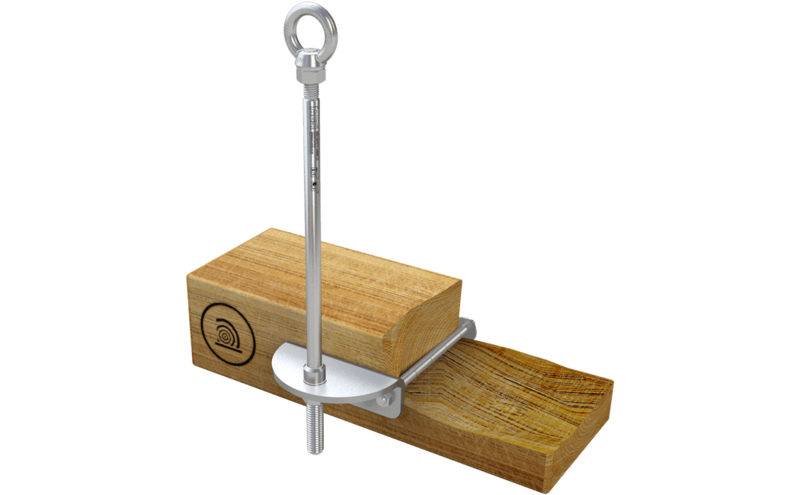 This stainless steel anchorage point (Ø 16 mm) - specially designed for wooden surfaces - is attached to a load-bearing beam and accordingly countered. The anchor can be installed laterally using the angular plate supplied. Our standard package also includes 2 threaded bolts and matching nuts. 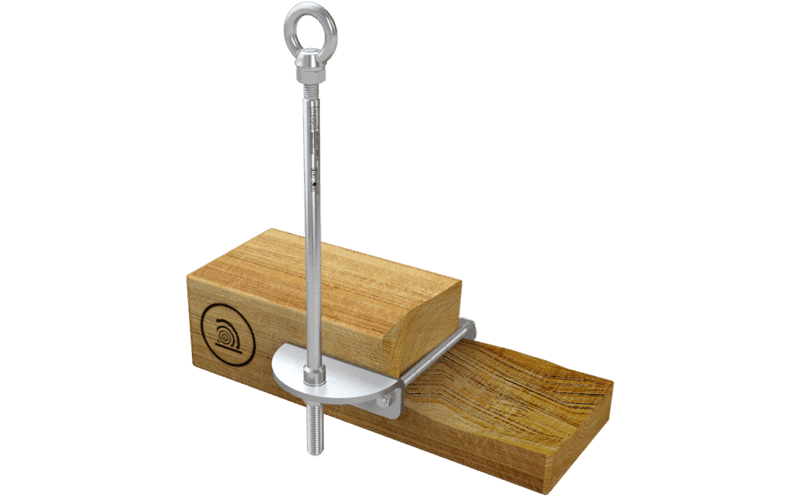 Once the 2 stainless steel bolts supplied with our ABS-Lock III-SEITL-65-H model have been inserted through a wooden beam and securely countered on the other side, it functions as an extremely reliable fall arrest system. Our stainless steel anchor comes with an angular plate for lateral installation and has been tested for simultaneous usage by 3 individuals. The angular plate included with our ABS-Lock III-SEITL-65-H has 2 pre-drilled holes so it can be attached at varying distances from the installation surface. It's sister model, our ABS-Lock III-SEITL-SR, has a reinforced supporting tube which means that it can also be implemented as a support in an overhead lifeline system. Are you looking for an angular plate-based fall protection solution for a different type of installation surface? Then take a look at our models for concrete and steel. All our ABS-Lock III-SEITL models are manufactured from stainless steel. We also offer a range of models with a reinforced supporting tube - specially designed for implementation in a lifeline system.